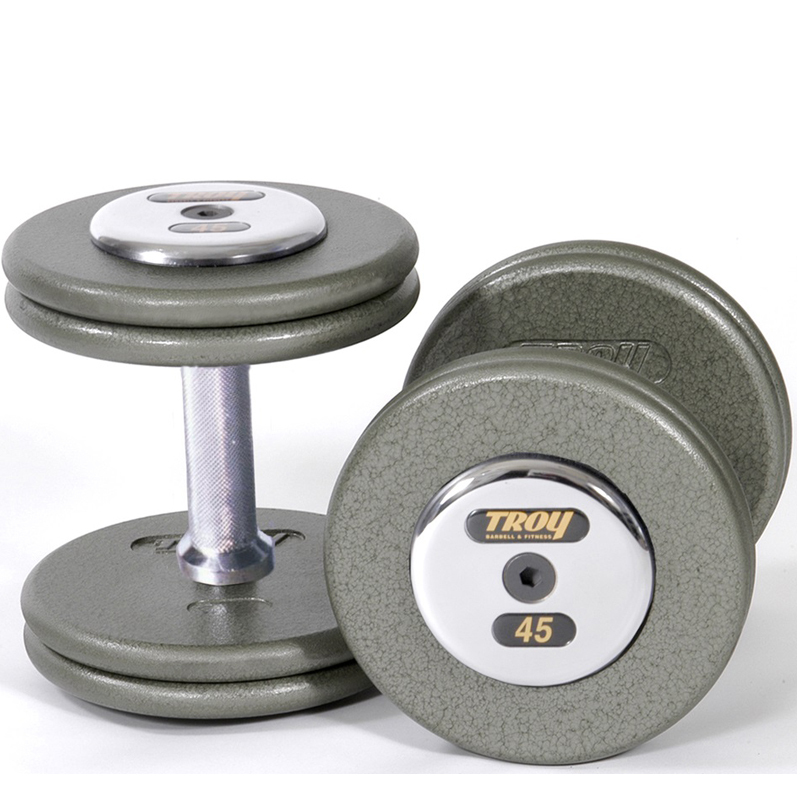 Our TROY pro-style dumbbells are all professionally pre-assembled by us to ensure that they meet the standards required in heavy use, commercial applications. All dumbbells utilize bigger, steel alloy bolts that are longer and stronger than the competition. HFD-C dumbbells featured here consist of 27mm straight handles with special, deep set knurling for functional performance and Troy premium grade, gray hammertone, machined flat plates. The steel, chrome end caps include the TROY name and numbers tags for easy ID. Available in 2.5 lb. increments starting at 5 lbs. up to 52.5 lbs. and in 5 lb. increments up to 150 lbs. Handle length 5.75 Inches - Inside Head to Inside Head. TROY name and numbers tags for easy ID. Available from 5 lbs to 150 lbs in 5 lbs increments. Available from 7.5 lbs to 52.5 lbs in 5 lbs increments. For Commercial, Military, College and Home Environments.